Gerry and Jane Kesselman learned about developments at Case Western Reserve through their friendship with the late Professor Joseph F. Fagan III. Photo by Hank Henley Photography. In the summer of 2005, Gerry Kesselman (ADL ’71) set out on an unlikely quest: He wanted to see whether he could reconnect with any of the professors he had known as an undergraduate more than 30 years before. Kesselman had earned a psychology degree from Adelbert College at Case Western Reserve University. He still remembered what a close-knit academic community he had found there, and how easy it had been for students like him to engage faculty members in conversation. Perhaps, he thought, he could strike up another conversation now. Maybe some of his former teachers still lived in Greater Cleveland, even if they were no longer associated with the university. When this idea occurred to him, Kesselman was entering a new phase of his life. He and his wife, Jane, had recently retired. After many years on Long Island, N.Y., they had bought a condominium in Beachwood, Ohio, where they planned to spend their summers, and a winter home near Fort Lauderdale. During their first season in the Cleveland area, Kesselman began exploring the CWRU website, looking for familiar names. “That’s correct!” Fagan declared, as if they were back in class. And when Kesselman asked whether he still taught his students that definition, Fagan said yes. Kesselman couldn’t resist teasing him about it. Their exchange launched a friendship, and thanks to Fagan, the Kesselmans gradually became familiar with the Case Western Reserve University of today. Impressed by what he learned, Kesselman signed on as an Alumni Admission Ambassador; to this day, he interviews student applicants from south Florida and tells them about CWRU. 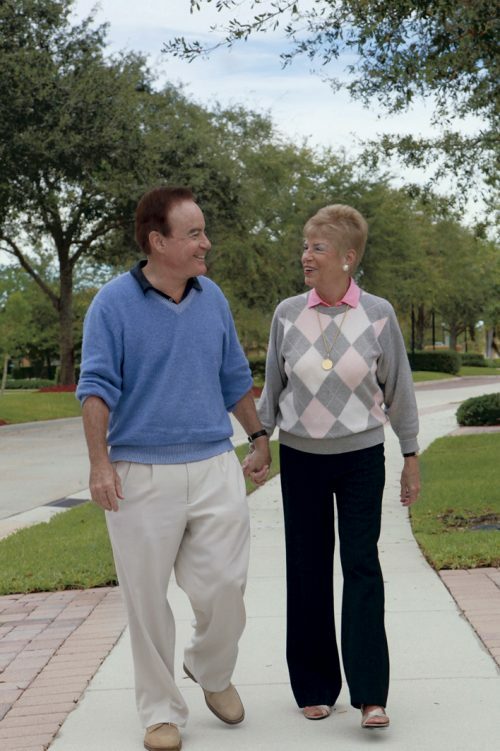 The couple also became generous donors to the university. In 2011, they pledged a major gift toward the creation of the Milton and Tamar Maltz Performing Arts Center at The Temple Tifereth–Israel. 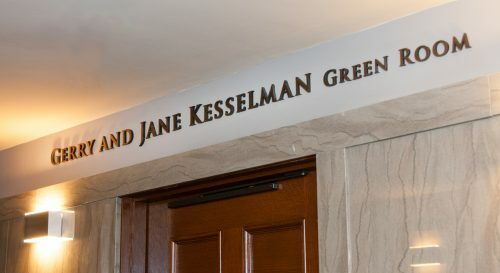 In recognition of their support, the conductor’s lounge adjacent to Silver Hall, the centerpiece of the project’s first phase, has been named the Gerry and Jane Kesselman Green Room. Two years after making their pledge, the Kesselmans, along with the rest of the university community, experienced an untimely loss: In August 2013, Professor Fagan died at age 71. In his memory, the Kesselmans have now doubled their initial gift, with the additional funds going toward Phase Two of the Maltz Center project. Kesselman initially found his way to the university, and to Fagan’s classroom, through his high school guidance counselor. A native New Yorker, he was looking into pre-med programs around the country, and the counselor recommended Case Western Reserve. During his freshman year, Kesselman took the standard biology and chemistry courses. But the first time he had to perform a dissection, he says, “That was it for me. I didn’t like the sight of blood.” When he returned to campus as a sophomore, he took up psychology, sociology and the humanities, and found them more enjoyable. Kesselman studied with several eminent faculty members in the psychology department, including Jane Kessler, now the Lucy Adams Leffingwell Professor Emerita, and Arthur Rosner, who supervised his honors research project. During his junior year, as Kesselman was starting to think about applying to graduate school, he took a course with Visiting Professor Frederick Herzberg, a renowned expert on factors that influence workers’ attitudes and motivation. One day as he was leaving class, Kesselman found himself walking beside Herzberg, so he introduced himself and asked the professor for advice. What area of psychology should he go into? Herzberg suggested industrial and organizational psychology. It was the most general field, he said, and thus the one that offered the greatest flexibility. If Kesselman were to decide later to switch to clinical psychology, say, the transition wouldn’t be difficult. Kesselman took Herzberg’s advice but never availed himself of the exit option. Instead, he completed master’s and doctoral degrees in industrial and organizational psychology at The Ohio State University. By 1976, he had joined a human resources consulting firm on Long Island and was developing job-knowledge tests for junior accountants and electrical engineers at a New York utility company. The Kesselmans’ first major gift to the Maltz Performing Arts Center is commemorated in the name of the conductor’s lounge adjacent to Silver Hall. Photo by Daniel Milner. At first, he felt unprepared for this assignment: “I didn’t know anything about accounting, and I didn’t know anything about electricity,” he says with a laugh. But from his graduate work, he knew how to write test items. Kesselman delved into the utility’s training manuals and talked with experts in the relevant departments. Soon afterward, he applied his skills at an Alabama utility that had been sued for racially discriminatory hiring practices. Kesselman designed employment tests that fairly assessed applicants’ ability to perform the duties outlined in the company’s job descriptions. Gradually, Kesselman expanded his work beyond job analysis and testing. He provided support for team building, executive coaching and leadership development; designed surveys to assess employee attitudes and corporate climate; and analyzed organizational cultures. In 1988, one of Kesselman’s clients offered him a full-time position, and for the next two years he shuttled between Cleveland, where the firm had its headquarters, and New York, where Jane Kesselman worked as a utility executive. Then, after a corporate merger, the Cleveland office closed, and he was transferred to New York City. The change simplified his life, but he says that it had a downside. He had grown fond of playing at Canterbury Golf Club in Shaker Heights, and now he had to give it up. Eventually, Kesselman returned to consulting and went into business for himself. But in 2005, soon after his wife retired, he followed her example. He wanted to acquire a summer home in Beachwood so that he could go back to his favorite golf club. But the move also led him to reconnect with Fagan. Once they became reacquainted, Kesselman learned of the importance of Fagan’s contributions to his department, the university and his profession. He discovered that the passage of time hadn’t diminished his former teacher’s enthusiasm and productivity. Kesselman also noticed that, although Fagan loved to talk about his research, he did not dwell on his achievements. 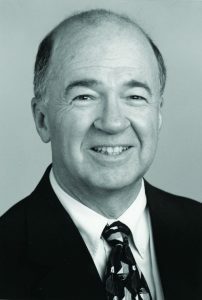 Joseph F. Fagan III (1941–2013) spent his entire academic career at Case Western Reserve. One of his former students, Deputy Provost and Vice President for Academic Affairs Lynn Singer (GRS ’78, ’79), published a tribute to him in the journal “Infancy” in 2014. Her essay, reprinted with permission, is available at artsci.cwru.edu/magazine/2016/joseph-fagan. Article originally featured in art/sci Magazine in 2016.